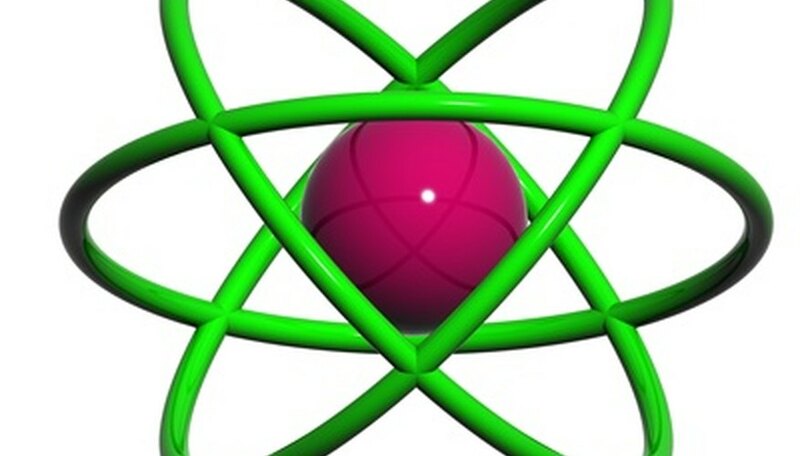 A model of a sulfur atom is quite complex to make in three dimensions, but it can be readily created as a two-dimensional, cross-sectional model. 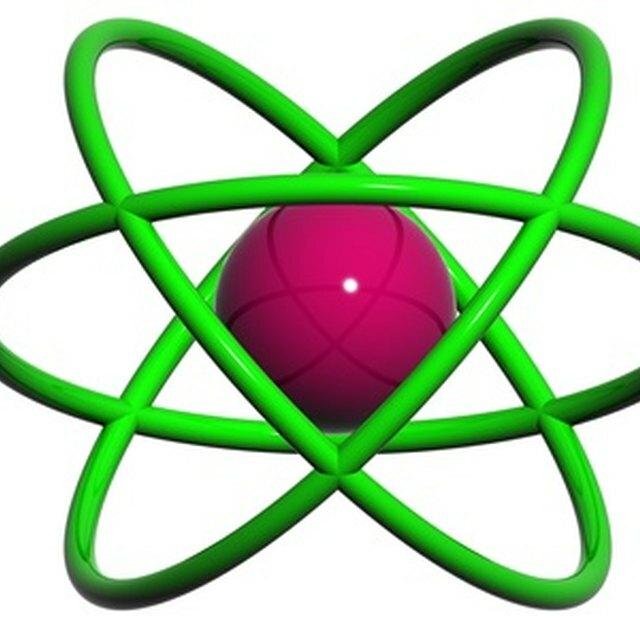 The sulfur atom has 16 protons, 16 neutrons and 16 electrons in three different energy levels, or orbits. Physics suggests that electrons do not physically exist as "points," but teachers use the Bohr atom model with fixed electrons as a way to simplify atomic structure. Creating the model requires the ability to cut with scissors and use glue. Wear a pair of surgical gloves. Place 16 red and 16 black pieces of candy, representing protons and neutrons, into a bowl and add some quick-setting glue. Using your hands, squeeze the candy into a ball, representing the nucleus. Roll the nucleus between your hands until the glue holds it together. Let it dry thoroughly for about 30 seconds. Mark a small dot in the center of a large sheet of cardboard with a pencil. Place the nucleus of the atom on the dot and make a small pencil mark just beyond its outer edge. Remove the nucleus and use a compass to draw a circle, centered on the dot, slightly larger than the nucleus. Draw three more circles around the nucleus sphere, each line forming a circle three inches wider than the previous one. The finished diagram consists of a central circle and three concentric, equidistant, bands around it. Paint each circle a different color. For example, paint the central circle yellow, then use different shades of blue to paint each of the surrounding rings a different color. Let the paint dry before progressing to the next step. Glue the nucleus ball in the middle of the central circle. Sulfur has two electrons in the inner ring, called the "first energy level," so stick two small pieces of black candy in the first ring around the nucleus. There are eight electrons in the next energy level, so glue eight pieces of black candy within the next ring. The final six electrons are in the outer, third energy level ring, so glue six more in the last ring. Glue the remaining pieces of candy in a line to one side of the sulfur atom model, then label them as "proton," "neutron" and "electron." If you prefer not to use quick-setting glue, coat the candy in PVA glue and press them into a lightly oiled, round-bottomed container. Let the glue dry, then tip out the candy as a solid lump. Do not use quick-setting glue with bare hands. It changes from liquid to solid very quickly, leaving you attached to a ball of candy, or worse, attached to the table. It may also irritate the skin. Don't eat the candy when you have finished with the model; some glues are toxic. Robinson, David. "How to Make a Model of a Sulfur Atom." Sciencing, https://sciencing.com/make-model-sulfur-atom-7741172.html. 25 April 2017.